es.com/xyht 1000 mdLiDAR AllTerra Deutschland GmbH is proud to offer complete UAV mapping packages from Microdrones that include everything geospatial pros need for surveying, mapping, and inspection – and now – a fully integrated unmanned aerial LiDAR system... mdLiDAR1000. AllTerra Deutschland GmbH is well positioned to support its professional customer base throughout Bavaria, Baden-Wurttemberg, Hesse, and Rhineland-Palatinate, as well as in Austria, with fully integrated mapping and inspection packages. To get in touch with the Microdrones expert nearest you, complete this form: http://lp.microdrones.com/inside-unmanned-systems "We were very excited to learn that Trimble partnered with Microdrones… we are thrilled about the possibilities and the laser options. 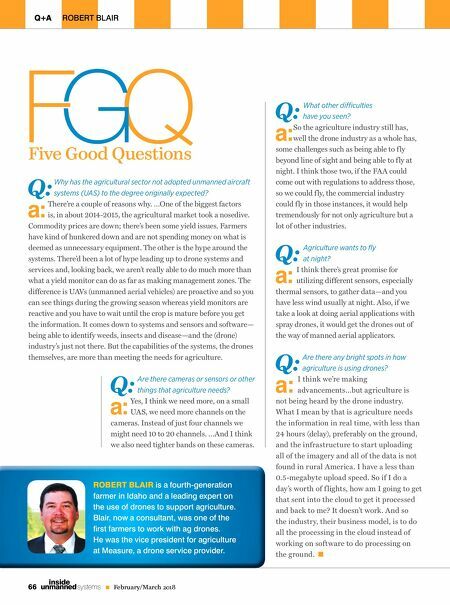 Everything was so easy and technically developed… it's a great working tool." 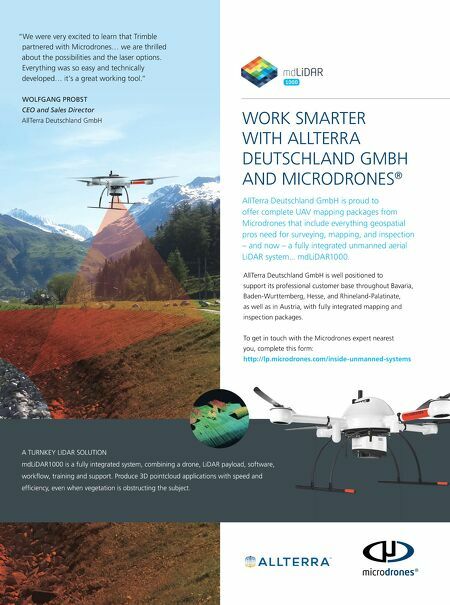 WOLFGANG PROBST CEO and Sales Director AllTerra Deutschland GmbH WORK SMARTER WITH ALLTERRA DEUTSCHLAND GMBH AND MICRODRONES ® A TURNKEY LIDAR SOLUTION mdLiDAR1000 is a fully integrated system, combining a drone, LiDAR payload, software, workflow, training and support. Produce 3D pointcloud applications with speed and efficiency, even when vegetation is obstructing the subject.